programs that provide flexibility and equitable access to diverse learning opportunities, while at the same time respects local community decisions regarding program implementation. Manitoba Education and Training has issued other regulatory and policy documents: Independent Study Option (ISO), Teacher Mediated Option (TMO) and Web-Based Course (WBC) Option. In 2014, Manitoba Education and Training created a framework that allowed for virtual collegiates to operate in Manitoba. The formation of the initial virtual collegiates occurred as part of three-year pilot collaborations with educational entities already recognized and operating distance education programs in the province. A signed Memorandum of Understanding (MOU) with the Province governs the collaboration. To date, the Manitoba First Nations Education Resource Centre (MFNERC) and the Pembina Trails and St. James-Assiniboia School Divisions have signed an MOU with the Province and have been granted Manitoba school codes for their virtual collegiates. Further, through the MOU, the virtual collegiates report on student enrollment and credit completion annually. For the most part, distance and learning options are funded in a manner similar to brick-and-mortar education with a few exceptions. Students enrolled in the ISO are required to pay for each course registration, although for students attending a school within Manitoba it is at the school’s discretion whether the fees are reimbursed in full, in part, or not at all. There is a fee per seat that is collected for the TMO, and the consortium that operates this option has established a fee structure for both members and non-members. Finally, the InformNet Virtual Collegiate has established a fee structure that depends on the student’s residency and status. Students that reside within the governing school divisions are not charged fees, but students from outside of the school division – as well as homeschooling students and adult learners – are charged fees. It should be noted that schools that report to Manitoba Student Records have a mechanism to indicate whether the credit earned was obtained through distance education, but this method of data collection is dependent on the individual schools categorizing and entering the data correctly. By default, most schools report the credit as earned in a traditional manner, regardless of the method of instruction. Having said that, each school division in the province has participated in one or more of the above distance education program options. However, participation varies from year to year depending on the changing needs of students and schools. The ISO (i.e., print) continued to offer 58 courses in English and 12 courses in French for grades 9-12 students. During the 2017-18 school year, there were approximately 2,970 active students enrolled and 1,212 credits issued. The TMO, which is managed by rural school divisions through the TMO Consortium in partnership with Manitoba Education and Training, offered 21 English courses for grades 9-12 students. During the 2017-18 school year, there were 428 course enrollments from 21 different schools from eight different rural or northern school divisions/groups. Finally, the WBC Option provided access to 44 courses in English and 4 courses in French. During the 2017-18 school year, there were approximately 4,000 users, including at estimated 3,000 students, in this option. Manitoba Education and Training does not have a formal definition of blended learning. However, it is informally recognized as a combination of traditional (i.e., face-to-face) classroom teaching/learning and online teaching/learning. In an effort to support blended learning throughout the province, Manitoba Education and Training licenses the Blackboard Learn learning management system, and makes it available to Manitoba teachers to use for free with both distance or blended learning students and as a resource (provincially developed 9-12 courses). Schools, and individual teachers, within the province are responsible for their own teaching/learning programs and interpretation of blended learning. Teachers will use online applications that suit the needs of their students and their learning environment/lessons. Manitoba Education and Training does not formally track participation in blended learning, and there has only been minimal response by e-learning programs in the province to the annual Individual Program Survey (i.e., only one program responding with data related to blended learning). The Province conducted a provincial survey in summer 2017, which found that schools were using a variety of implementation methods to support students within a blended classroom environment and from a distance. In their responses to this survey, schools also listed many of the potential benefits they saw in using a learning management system to facilitate teaching and learning. Distance education started in Manitoba in 1927 with print-based correspondence courses with a mandate to provide educational opportunities, through correspondence or independent study, to school-aged children and adults in rural and remote areas where access to school was difficult or impossible due to proximity or illness. Prior to 1987, correspondence/independent study courses were delivered by the Correspondence School. However, beginning in 1987 the Distance Education and Technology Branch was established and the Correspondence Branch was incorporated into this (later renamed the Independent Study Program in 1991). In 1991, the Independent Study Program (now called the Independent Study Option [ISO]) was decentralized to Winkler, Manitoba in what is now the Distance Learning Unit. Historically, courses for grades 1-6 were developed by Alberta Education while courses for grades 7-12 were developed by Manitoba’s Program Development Branch. By 2009, Grade 7 ISO courses were discontinued and students directed to Alberta Education (the same occurred for Grade 8 ISO courses in 2010). Beginning in 2014, the ISO program began using Blackboard Learn as a learning management system. The Teacher Mediated Option (TMO) program began in 1984 as a cooperative program by the school divisions. 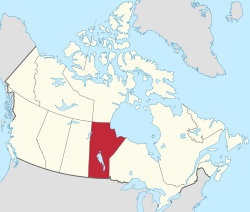 In 1992, Manitoba Education assumed responsibility for the administration of the TMO program and it was operated from Wawanesa, MB (within the Southwest School Division). In 2007, the TMO program moved to the Distance Learning Unit in Winkler, MB. Around 2010 to 2012 discussion began with participating school divisions about the continuation of the TMO program. It was decided a consortium would be established with participating school divisions and TMO teachers would be placed under the host’s collective agreement. In 2012 – 2013 this consortium was established with an Memorandum of Understanding (MOU) between the consortium members and Manitoba Education. The Sunrise School Division acts as the host division, and ISO course materials are used as foundation for instruction. This MOU has been renewed annually, but in 2014 – 2015 Pine Creek School Division began to act as the host division. The Web-Based Courses (WBC) were first implemented in 1999 with Applied Math 30S being the first course developed as a pilot. After a successful two year project that involved 15 school divisions, WBC development and implementation continued to flourish and by 2006 41 courses were available for grades 9-12. In 2008, a Task Force was established to review the distance learning programs and processes. Finally, beginning in September 2014 the Ministry approved a three year pilot for the operation of a virtual collegiate by an educational organization recognized by Manitoba. To date, two “virtual collegiates” have received a school code (i.e., Wapaskwa Virtual Collegiate and InformNet Virtual Collegiate). WBC continue to be developed and revised to meet accessibility standards and the needs of 21st century learners. These courses are made available to Manitoba teachers within the province as a resource, as a deliverable distance learning course, or to use in a blended learning environment. * This includes registration of Evergreen students in other division’s programs and other division’s students enrolled in Evergreen’s program. *** This includes both their participation in Ministry-delivered programs and their own video conferencing and French immersion programs. **** Teachers were already employed, just required a timetable adjustment. If a student in Manitoba enrolls in a course offered by an online program in another province or territory it is up to the individual school administrators to assign “Out-of-Province” credits for the course(s) that have an equivalent Manitoba provincial course or locally developed course. The same process is used for students who attended a school out of province and then move to Manitoba. When the school administrator accepts the transfer a designation of “S” for “Standing” is used to report credits granted in the place of a percentage mark. As such achievement in out-of-province courses cannot be used to calculate an average, and any transfer of credit is at the school administrator’s discretion. This process applies to any out-of-province courses, regardless if it is another jurisdiction in Canada or internationally. Under current regulations Manitoba schools cannot deliver any online courses to students in other jurisdictions for credit. Schools can offer a course to an out-of-province or out-of-country student, but cannot issue Manitoba standing (i.e., credit) to an out-of-province or out-of-country student. Students must be registered in a Manitoba school to earn Manitoba credit(s).